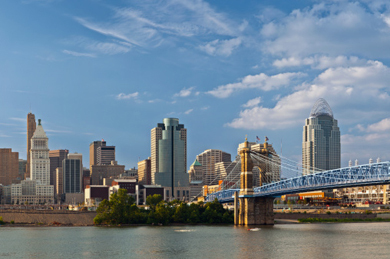 Are you moving out of the Greater Cincinnati Tri-State Area? If so, we can help make your move easier! HUFF REALTY is a strong regional broker with significant national and global connections. Our relocation specialists attend the premier conferences. They network with the best. They have been selected for national advisory councils and have earned the national relocation designations. Offering a full service, HUFF REALTY Relocation Department, can provide additional value to you by offering to assist you with your real estate needs outside of our Greater Cincinnati Tri-state service area. We can arrange to help you find a qualified, Real Estate Company, like HUFF REALTY in your new location. As an affiliate of Leading Real Estate Companies of the World, ® we are part of a great network that dominates in more markets across the U.S. providing us with unlimited connections to help better serve you. So, if you or someone that you know is moving out of our Greater Cincinnati Tri-State area remember, we can help you or anyone with a real estate need outside of our Greater Cincinnati Tri-state market – sellers relocating for jobs, neighbors thinking about buying or selling a primary home or vacation home, friends who want to purchase a condo for their college student, your relatives who are helping elderly parents get their home on the market prior to moving into an assisted care community. Again, we can help and are here to help make the move easier.